I'm by no means any type of beauty guru or aficionado (that position is filled by my main girl Tasha). However, thanks to some of my favorite lifestyle sites like Glitter Guide and The Mama Notes, I've recently become more aware of the types of products I use and the ingredients in them. A lot of my curiosity about natural beauty products has been fueled by my hope to get pregnant soon. Once I get pregnant I know I need to be more careful about what goes inside and on my body. So why not start to make healthy changes now? Here are some of the natural beauty products I've been using, as well as ones I plan to try in the near future. 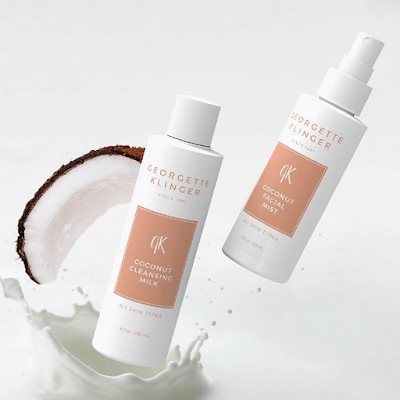 I've been using the Gerogette Klinger Coconut Cleansing Milk and Coconut Facial Mist for the last few weeks, along with the Vitamin C Toner designed for all skin types. I love the simple, sophisticated packaging and how clean the products make my skin feel--not to mention the deliciously subtle coconut scent. Georgette Klinger uses powerful vitamin oils, fruits, herbs, essential oils, and healthy exfoliants in to nourish skin naturally. All of the products are cruelty free, paraben free, and dye free--plus, they're made in the USA. You don't get much better than that. Heralded as the "ultimate skincare product for the minimalist" this beauty balm is a moisturizer, cleanser, and conditioner all in one. It's very thick so I've found a little goes a long way. 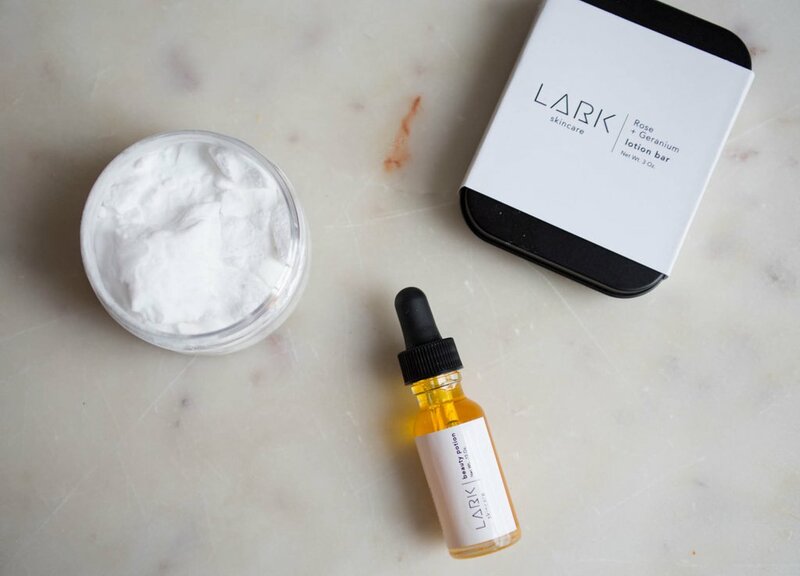 All you need is a pea size amount to do everything from cleanse your face to take off your makeup. I've found I really like using the Beauty Balm on my dry, cracked heels. It's more moisturizing than most foot creams I've tried, plus it smells better too. 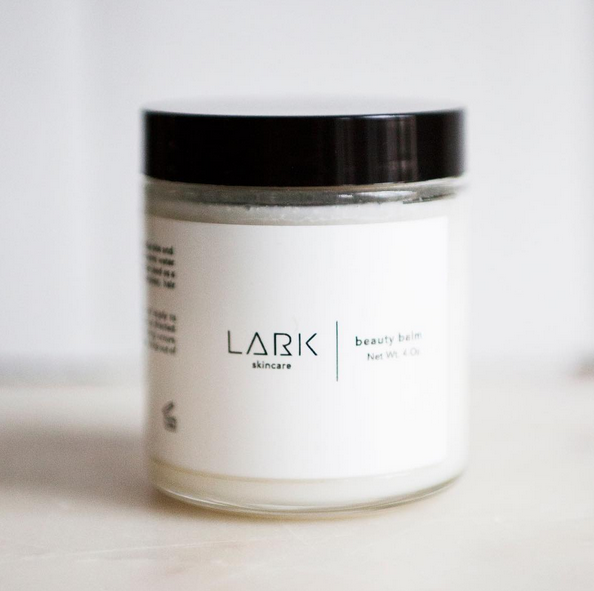 All Lark Skin Co. products are handmade in small batches with fresh, natural ingredients. I'm making the switch over to natural beauty products slowly. Next on my list is to switch to a natural deodorant. 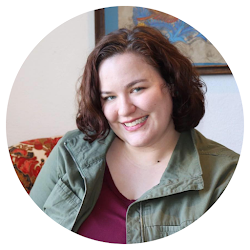 I've read horror stories about how difficult the change can be. Native has over 2,000 positive reviews and is paraben and aluminum free. Aluminum is found in antiperspirants that has been linked to breast cancer and Alzheimer's. Thanks to Georgette Klinger I've been on a coconut kick lately. 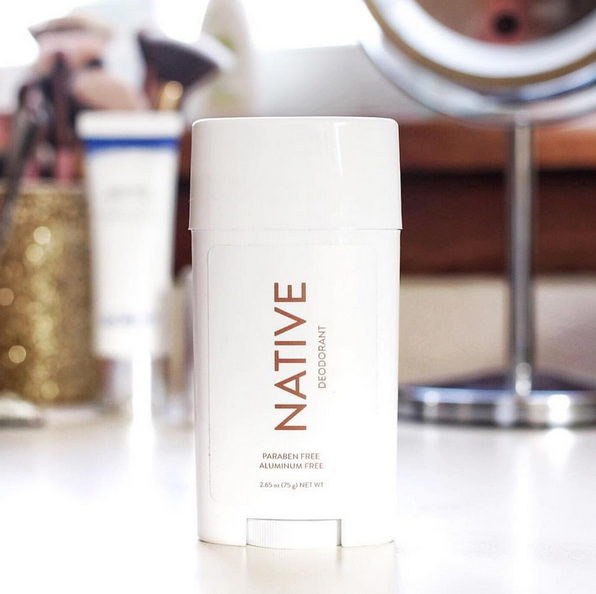 I plan to order the coconut + vanilla scent Native deodorant, which also happens to be their best seller. Use code INSTA10 to get 10% off your first order. Great post babe! I haven't tried any of these but I want to!